UPDATE 8/1/2016, 5:06 PM: Our long national nightmare is finally over. Frank Ocean's new album has an unofficial official release date. Boys Don't Cry is expected to be out this Friday, August 5, via an exclusive with Apple Music, according to the New York Times. The album will be on a two-week exclusive with Apple (much like Chance the Rapper's Coloring Book), and is said to come with a "major video" (Frank's version of Lemonade?) as well as a Boys Don't Cry publication, which sounds a whole lot like the zine we were promised on Tumblr so long ago. Everyone get ready, we're T-minus four days from Ocean Time. As we patiently await the release of his much-delayed album, Troll Supreme Frank Ocean got hopes up with the upload of a mysterious new livestream to his otherwise dormant website last night. 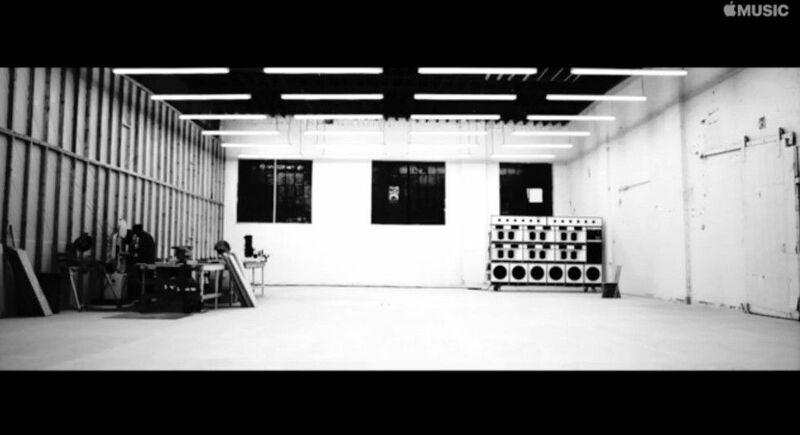 The site is hosting a black-and-white Apple Music-hosted video of a room, which turns out to have nothing to do with new music from Ocean. According to Pitchfork, the stream was initially only showing a few workbenches in an empty hall. Then around 9 a.m., a worker began slicing wood with a mechanical saw alongside intermittent ambient background music. Apparently the stream is a project from Ocean collaborator Francis Soriano called Endless, though Soriano has since deleted the initial Instagram confirming it as his work. This update is the first made to Ocean's website since the "date due" library card last month, which can be seen below the livestream here.